Elizabeth Ayotte of Kennebunk, daughter of Adrian Ayotte and Melinda Ricker, is a member of both National Honor Society and Tri-M Music Honor Society. You may recognize her from some of Kennebunk High School’s theatre productions over the last four years, best known for her roles in Guys and Dolls and The Drowsy Chaperone. She is also a three-year member of the KHS Chamber Choir and has attended multiple Maine District 1 and All-State Music Festivals, in addition to being a participant in the Mock Trial Team and volunteer for many community functions. Elizabeth plans to attend Manhattan College in the fall studying pre-medical biology. Laura Broderick of Kennebunkport is the daughter of Peter and Joan Broderick. She earned nine varsity letters and was captain of the cross country and track teams. 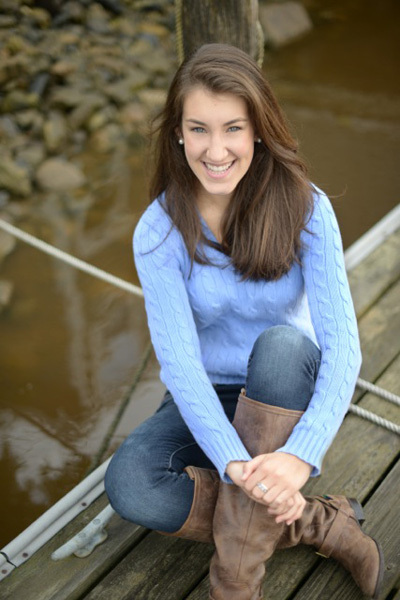 An accomplished pianist, founder of Good Vibe Granola, member of both National Honor Society and Captains’ Club, and recipient of the Smith College Book Award, she was appointed to the U.S. Coast Guard Academy. She will be attending Scripps College in California where she was awarded their Founder’s Scholarship. Chloe Burrows-Brown of Kennebunk, daughter of Karen Burrows and Marcus Brown, is a member of the Math Team, the 2014 Yearbook Staff and Wind Ensemble. She has also been a member of the Varsity Softball team for three years. She has received an award in the Scholastic Art Competition as well as an award from the Society of Women’s Engineers. Chloe plans to study engineering at the University of New Hampshire in the fall. 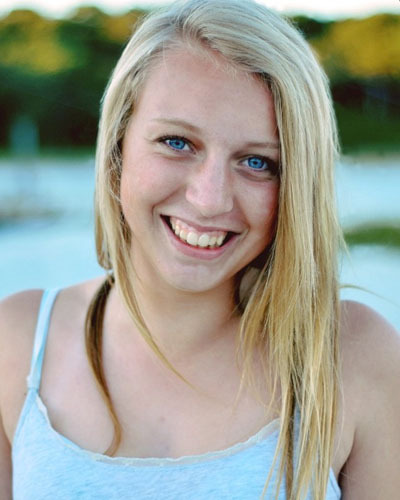 Cacildia Cain of Kennebunk, daughter of Craig and Grace Cain, is an AP Scholar who played premier soccer throughout high school and was a captain of the varsity soccer team. She is a member of NHS and is co-president of Lil’ Kicks 4-H Club. She has attended the 4-H National Congress and the Citizenship Washington Focus conference. Cacildia volunteers at Carlisle Academy. 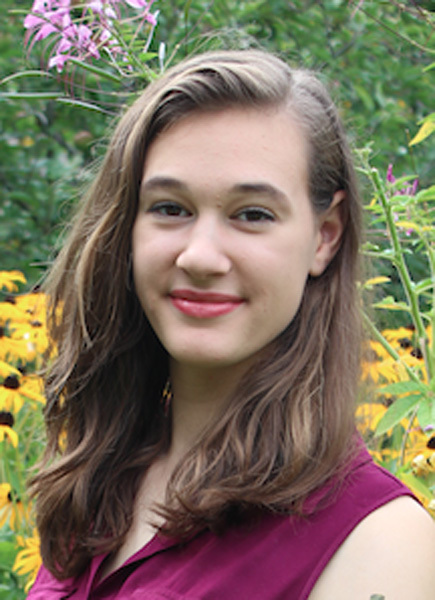 She plans to attend Brandeis University to pursue environmental studies and history. 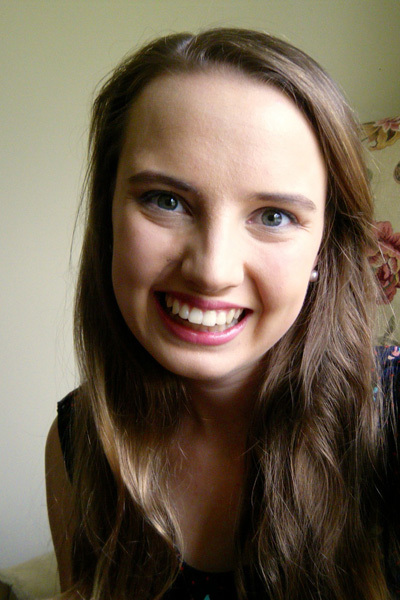 Margaret Carroll of Kennebunkport, daughter of Michael and Anita Carroll, is president of Student Council, a RSU 21 School Board Student Representative, and editor-in-chief of the Rampage newspaper. She is also a four-year member of Cross Country and Mock Trial. She is an AP Scholar with Distinction as well as a semifinalist for the United States Presidential Scholars Program. Meggie will attend the University of Chicago in the fall of 2014. 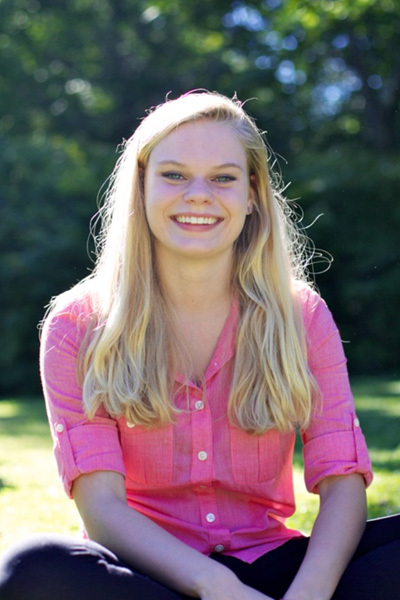 Juliet Domine of Kennebunkport, daughter of Bob and Cynthia Domine, served on the Executive Council for four years, is a member of the National Honor Society, yearbook, and swim team and a winner of the Wellesley College Book Award. An accomplished violinist, Juliet has played with the Portland Youth Symphony Orchestra for five years, Maine All-State Orchestra for two and Interlochen Summer Academy orchestras for five. Juliet will attend Syracuse University School of Architecture in the fall. 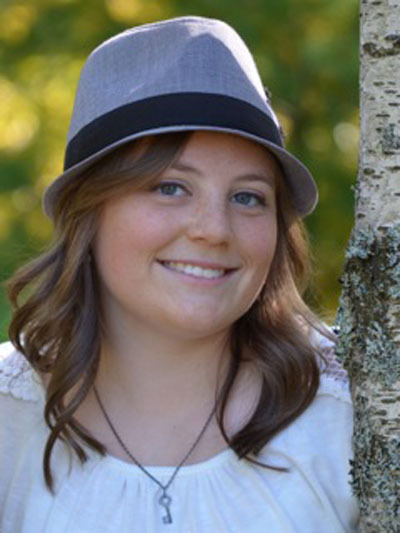 Megan Hall of Kennebunk, daughter of Robert and Melissa Hall, is the leader of the Kennebunk High School Peer Helpers, the co-president of her 4-H of Maine club, and is an active member of Student Council, Captain’s Club, and the National Honor Society. She is an ISI Figure Skater and has spent her time volunteering for Lucky Pup Rescue, 4H, and numerous other organizations. She will attend the University of New England this coming fall. 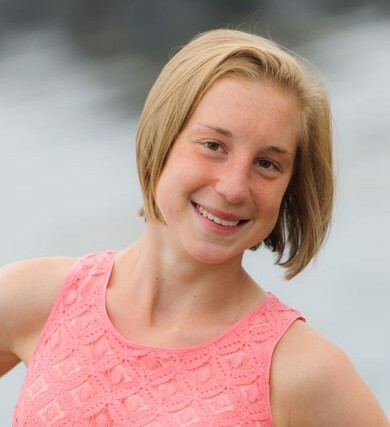 Hannah Johnson of Kennebunk, daughter of Greg and Debbie Johnson, is a varsity volleyball player, a captain of the track and field team, and has been the Maine State high jump champion for the past two years. She has also been a part of the KHS Creative Writing Club. Next year, Hannah will attend the University of Miami with plans of pursuing an education in anthropology and biology. 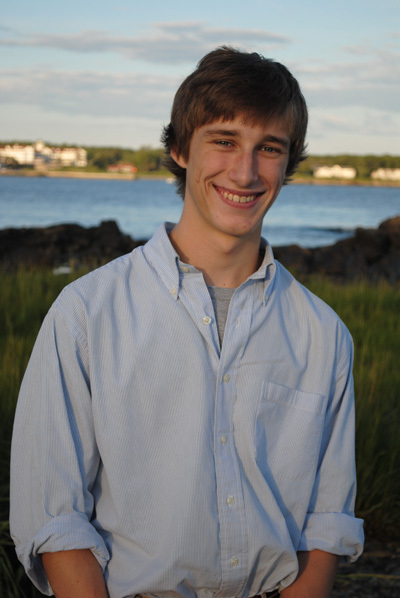 Ryan Keefe of Kennebunk, son of Christopher and Jennifer Keefe, is KHS’s valedictorian. He was captain of the soccer and hockey teams and a member of the lacrosse team. He participated in Model United Nations, Mock Trial and Model State. He is a recipient of the Harvard Book Award and Phi Beta Kappa Award, an AP scholar with Distinction, and treasurer of National Honor Society. 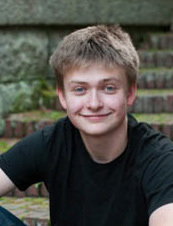 Ryan plans to attend Bowdoin College and major in biochemistry. Philip Kindler, the son of Ed and Elva Kindler, lives in Kennebunk. In the fall, he will be attending St. Ambrose University in Davenport, Iowa, where he will be studying Behavioral Neuroscience. You may know him from his recent roles in KHS theater, where he played the roles of Mr. Feldzeig in The Drowsey Chaperone and Lenny in Rumors. He is also a member of the National Honor Society and is an Eagle Scout. 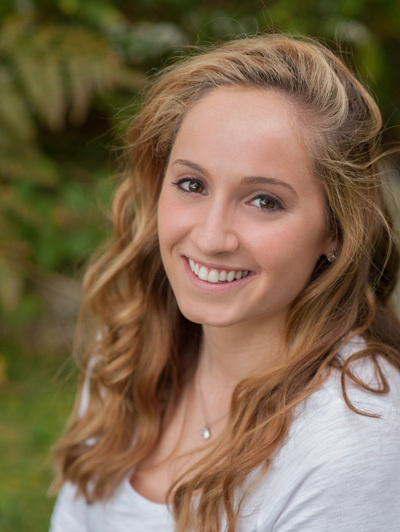 Colby Kingston of Kennebunkport, daughter of Steve and Jeni Kingston, is a four-year member of the Class of 2014 Executive Council, a member of the National Honor Society, and Captains’ Club. Throughout her time at KHS, Colby has also participated in several Choral District I Honors festivals, was inducted into the Tri-M Music Honor Society and participated in numerous KHS theater productions. Colby will attend Colgate University in the fall. 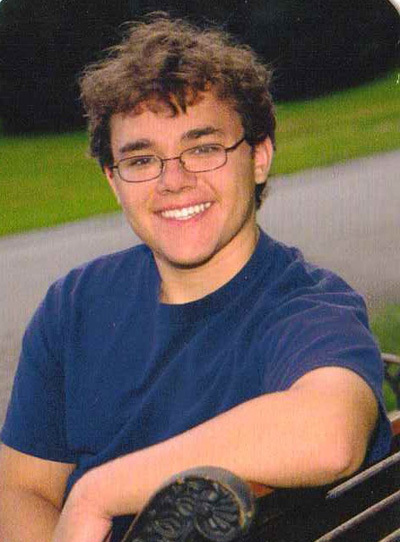 Christopher Kremer of Kennebunk, son of Cathy and Vincent Kremer, plans to attend Vassar College this coming fall. He has been involved in cross country, swimming, and track during his high school career, as well as Ultimate Frisbee Club. 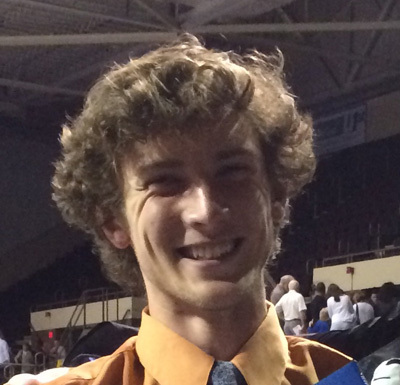 Chris has also volunteered with the Kennebunk Department of Parks and Recreation for multiple summers as an Assistant Coach of the summer Track Club. Lindsay Nichols of Kennebunk, daughter of Nina Christensen and Dana Nichols, is KHS’s Salutatorian. She is a member of the swim team and the National Honor Society. Lindsay has received two Coaches’ Awards and was part of the school record-breaking 200 Yard Medley and 400 Yard Freestyle relays of this past season. She also swam for her local YMCA teams and played in the marching band. Lindsay plans to attend Simmons College in the fall. Hayley Richardson, daughter of Lisa and Leo Richardson, is attending Rochester Institute of Technology to study materials science in the fall. She has been varsity captain of basketball and track & field, and a major player in wind ensemble and pit orchestra for the KHS music department. A member of NHS, Tri-M, and Executive Council, she hopes to study abroad and continue pursuing her interests. member in KHS theater productions. Alexander plans to attend Clark University in the fall. 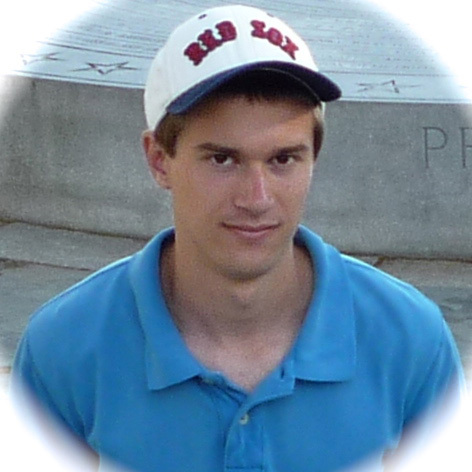 Austin Weigle of Kennebunk, son of Darrin and Lisa Weigle, has done executive council, math team, cross-country, track and volunteered for Kennebunk Parks & Recreation for four years. His achievements include being the 2014 Indoor State Champion in the high jump; receiving the MPA Principals’, DAR Good Citizenship and Yale Book awards; president of NHS; serving as “Bunkie”; and doing theater. Austin will study plant biology at Southern Illinois University – Carbondale as a Chancellor’s Scholar. 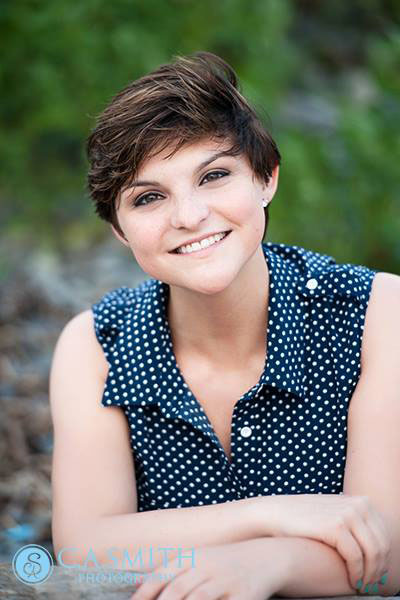 Gretel Williams of Kennebunkport, daughter of Cameron and Julieanne Williams has recently completed the International Baccalaureate Diploma Program. She is a member of the KHS Interact Club, KHS swim team, and French Club. 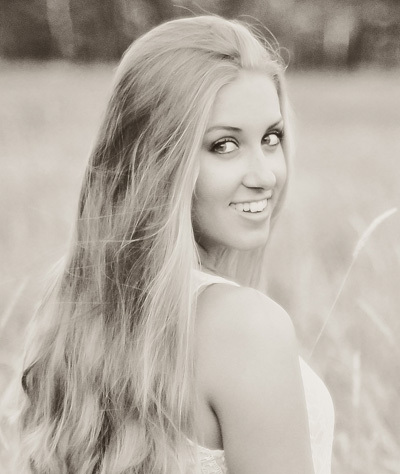 She plans on continuing her studies at University of Alberta next year.